Maple Bars. Steel Base. Train on Ground. 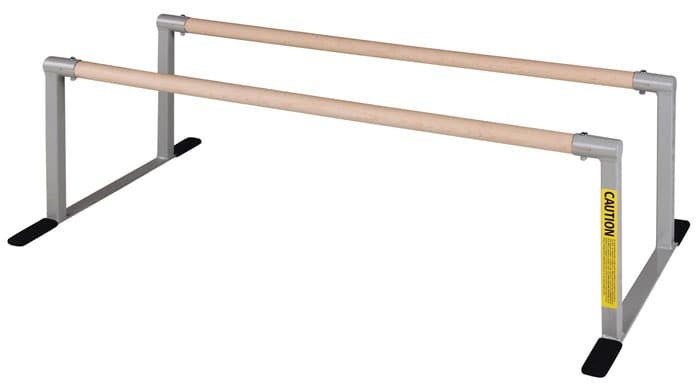 Made in America, these kids parallel bars are the ideal parallel bars for home use or at the gym. 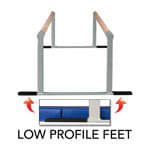 Our low parallel bars are designed for gymnasts under 100 pounds. There is 48" spacing between the uprights, which allows our parallel bar mats (or any other 4 foot wide mat) to perfectly fit in between them. 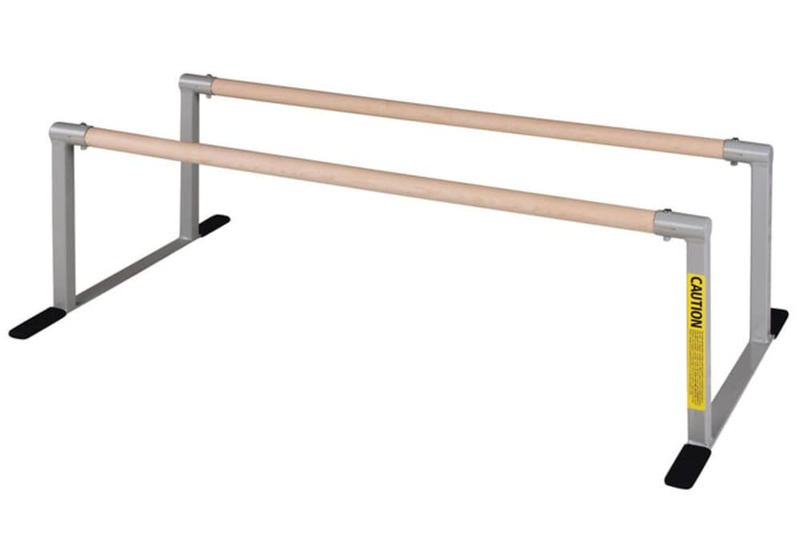 These training parallel bars are shipped unassembled, but the bases and maple rails are easy to assemble. Bar diameter is 1.5" and made of solid maple wood. The bar length is 48" and the frame is made of powder coated steel tubing with nonmarring, rubberized feet. 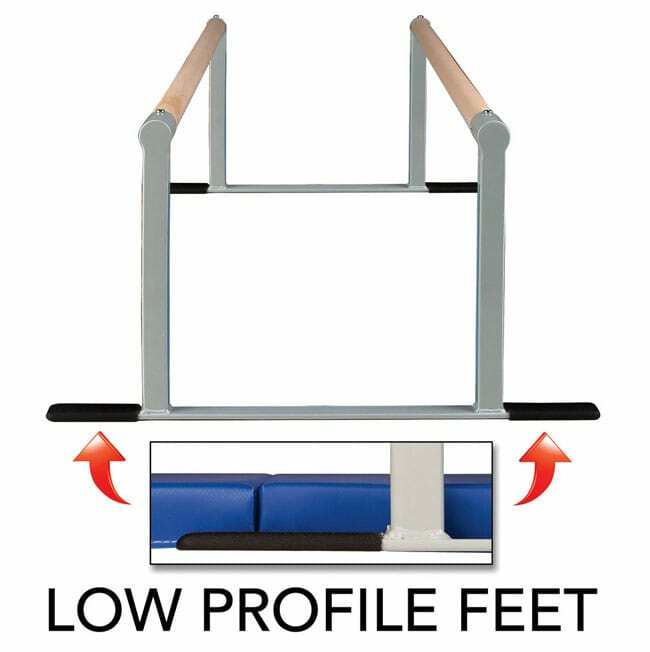 Dimensions are 48"L x 16"H x 24"W.
Our low parallel bars are designed for gymnasts under 100 pounds. 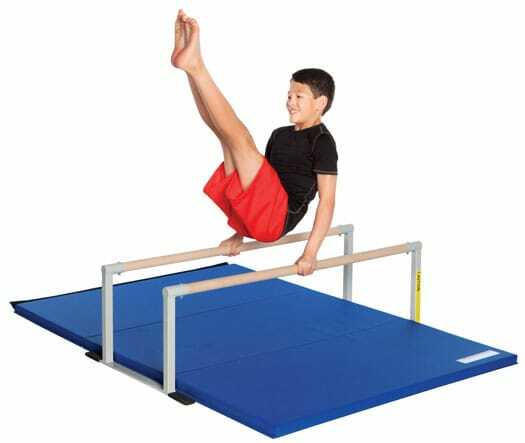 These kids parallel bars are the ideal parallel bars for home use or at the gym. There is 48" spacing between the uprights, which allows our parallel bar mats (or any other 4 foot wide mat) to perfectly fit in between them. 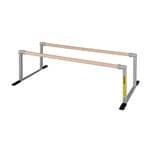 These training parallel bars are shipped unassembled, but the bases and maple rails are easy to assemble. 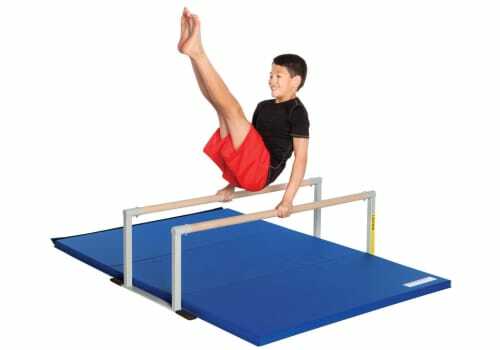 48"L x 16"H x 24"W.
Parallel Bar Mats: 4' x 6' x 1-3/8" for extra padding under your kids parallel bars. Available in Royal Blue. Parallett Bar. Includes Wall Mounts for Pull-Up or Ballet. 54"